Combining advanced manufacturing techniques and the highest performance materials - EzyDog has yet again set the benchmark for canine products! The Doggy Flotation Device has been designed and extensively tested to give your dog the most ergonomic and snug fit possible. Our unique Ultra-Buoyancy Foam is strategically positioned around the vest to keep your dog in a natural swimming position at all times. Unlike other vests, the DFD does not hinder your dog's natural movement and can be fastened/removed easily and quickly. Choose from a variety of bright colors and patterns to suit your style. For best fit, measure the girth and length of the dog. The girth being the area behind the front legs and around the body and the length being the area from the neck to the base of his/her tail Girth will take priority when selecting a size. The DFD does not need to cover your dog’s entire back length to be effective. 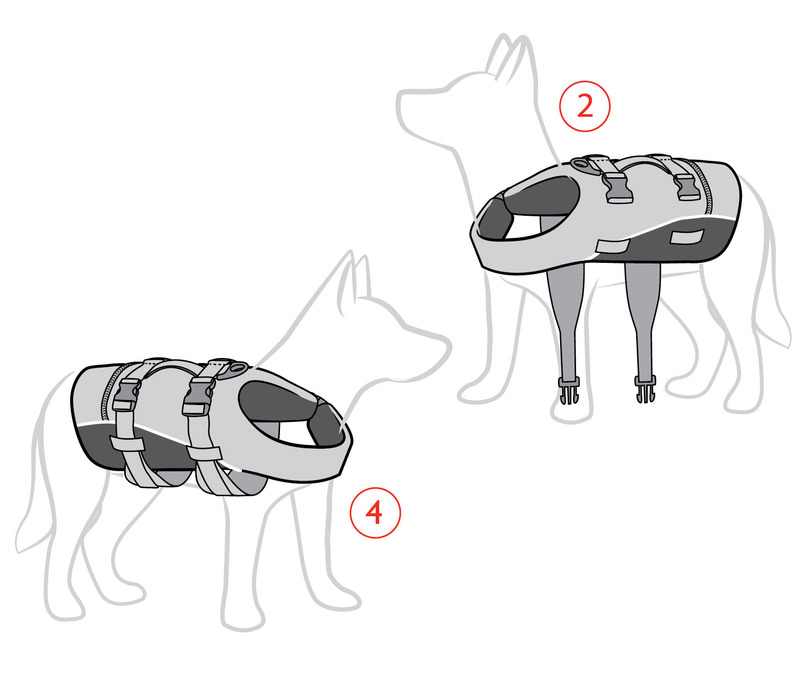 For Dogs under 7kg, check out our Micro DFD! 3. POSITION DFD FOR THE GREATEST BACK COVERAGE, THEN CLIP THE TWO CHEST STRAPS. ADJUST THESE STRAPS EVENLY FOR A SNUG FIT. "Good quality product! my english bulldog loved it. Definitely worth the price. Highly recommended product." "I was really confident that my dog will float in the middle of the sea ;) we had fun and enjoyed kayaking... thanks so much for the fast delivery and help for choosing the right DFD for bubbles... "
"The best safety gear for our water activities!"